Scott Dredge is originally from Lima, Ohio and has been U.S.P.T.A. Elite pro since 2003. He has been a very active member of the USPTA attending multiple Midwest Conferences and the World Conference in 2004. Scott has coached many USTA adult league teams. 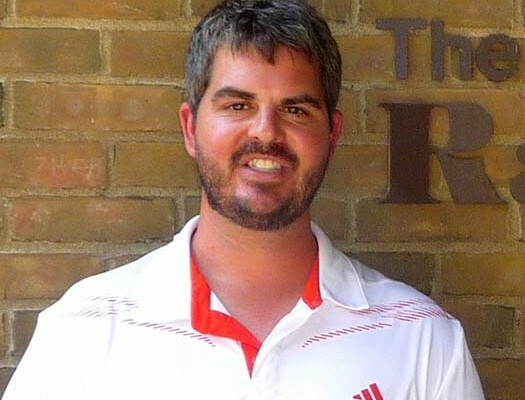 He has served as a USTA area training center coach in North East Indiana and Northwestern Ohio working with sectional and nationally ranked juniors. Scott has also coached USTA Team Tennis and has served as a Midwest boys and girls Zonals coach. Previously Scott served as Tennis Director at Westwood Tennis Center and the Head Tennis Pro at the Shawnee Country Club in Lima, Ohio. From 2010 until 2013 he worked as a Tennis Professional at the Duke Faculty Club for Duke University in Durham, North Carolina. Serving in these roles has given Scott the experience to teach all ages, and abilities of juniors and adults. Scott grew up playing competitive junior tennis in the Midwest. He earned All-State honors while playing for Elida High School in 1999 by taking third in the OHSAA Division 1 State tournament in doubles. Scott played four years of college tennis at the State University of New York at Oneonta. He played #1 singles/doubles for all four years of his collegiate career and was a Scholar Athlete award winner. Scott comes from a tennis family background. His family was voted the Midwest tennis family of the year in 1999. His father (Ron Dredge) in Lima, Ohio and uncle (Greg Dredge) in Springfield, Ohio are both USPTA certified tennis pros. His grandfather (Dr. Howard Dredge) of Springfield, Ohio is a member of the Midwest Tennis Hall of Fame and served as a long time promoter of the game. His email is, sdredge2003@yahoo.com.